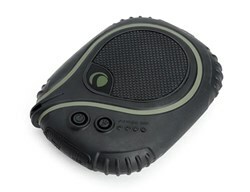 The Celestron 93531 is 2-in-1 device keep your electronic devices charged and ready with TrekCel 2200. 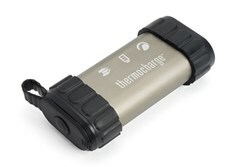 A 2200 mAh lithium ion battery delivers a full charge to most smartphones, MP3 players, and cameras. 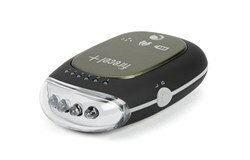 TrekCel 2200 goes beyond most portable power packs with an integrated flashlight. The bright white LEDs operate in four modes: low light, bright light, flashing light, and SOS. 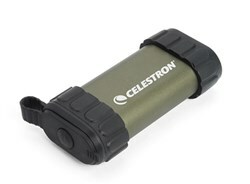 Celestron's lithium ion battery is durable enough to withstand hundreds of charging cycles. Plus, it's backed by a two-year warranty. The Celestron Elements TrekCel 2200 has many exciting features for users of all types. 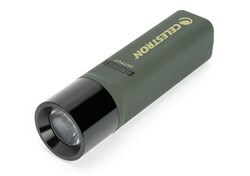 See the Celestron Elements TrekCel 2200 gallery images above for more product views. FactoryOutletStore stocks a full line of accessories like 2-in-1 Device, 3-in-1 Device, and 8x21 Binocular for the Celestron Elements TrekCel 2200. 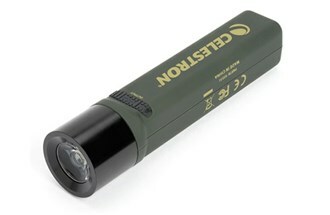 The Celestron Elements TrekCel 2200 is sold as a Brand New Unopened Item.